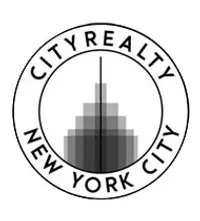 In the world of New York real estate, it is a given that the penthouse will have the most luxurious finishes and the most beautiful views. 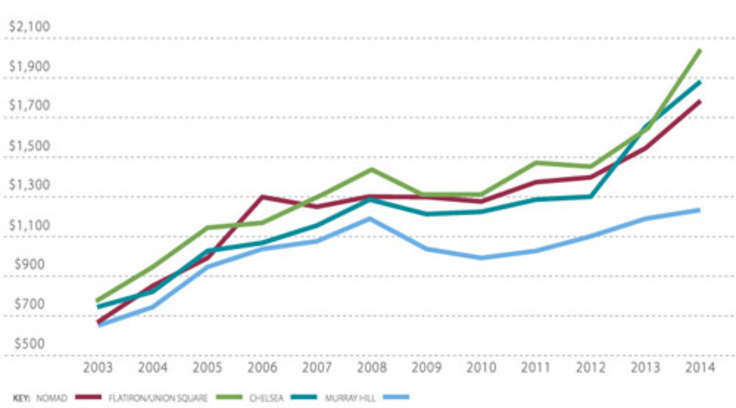 However, some developers and designers are taking that mindset beyond the top floor. 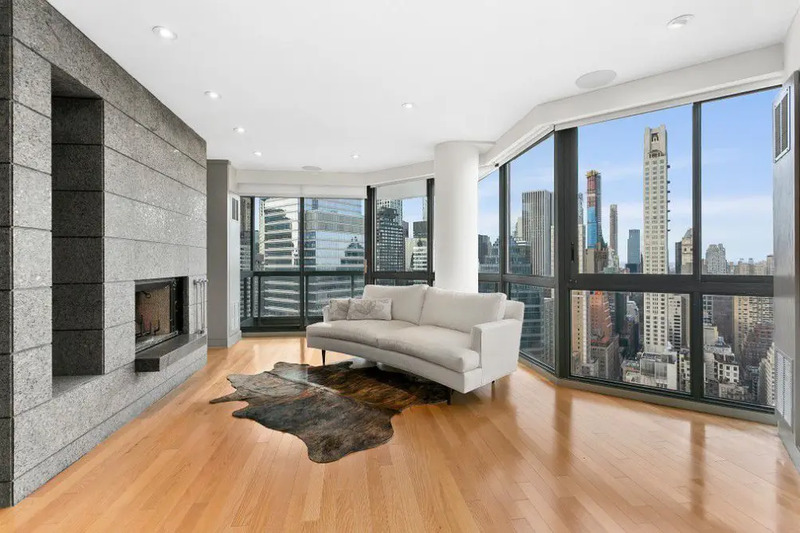 There isn't a penthouse to be found among the most beautiful of this week's 500+ new listings, but one would never know it to see their open layouts, incredible space, and highly coveted amenities. 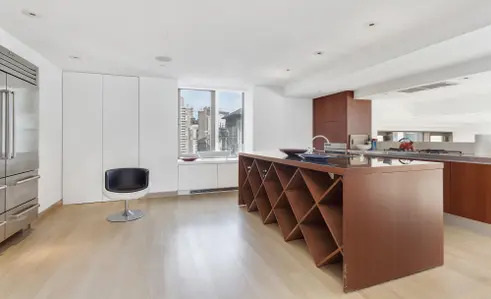 Dramatic duplex is entered via private elevator, and an en suite sky garage is just off the door. 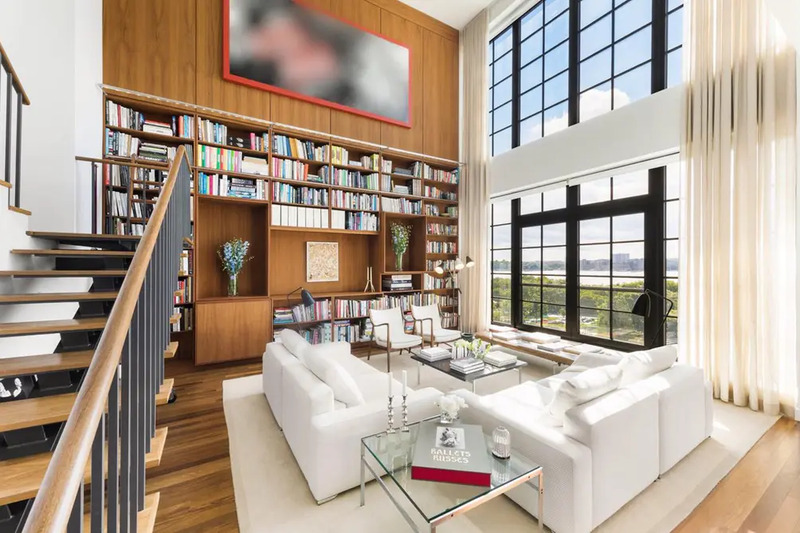 Upon entry, the grand living room with 23' ceilings, southern exposures, and oversized windows overlooking Hudson River views will take one's breath away. Up an open staircase, the master suite boasts river views and bath with a soaking tub carved from solid granite. See floor plan and full details here. 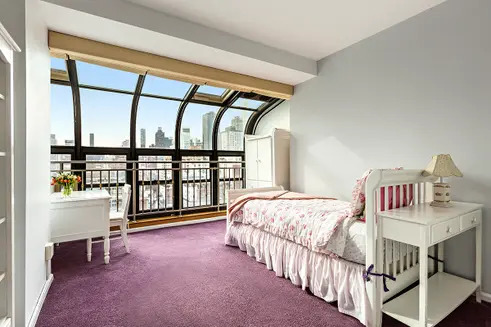 High-floor home in a prime Upper East Side location boasts two private balconies, two working fireplaces, and amazing sunlight and views at all hours of the day. 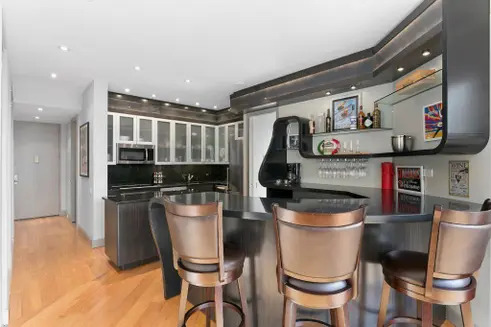 The formal dining room and spacious kitchen with wet bar are ideal for entertaining. 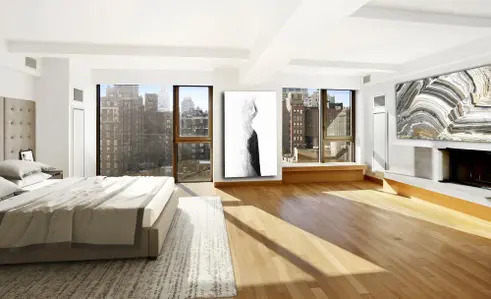 Smart home features include Sonos speakers, Nest thermostat, and electric window treatments. See floor plan and full details here. 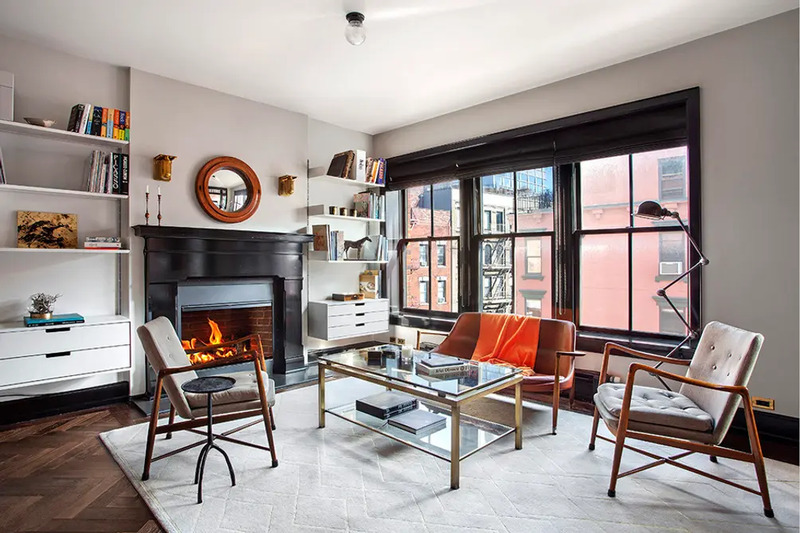 Full-floor home overlooking Gramercy Park boasts an exceptional layout, wood-burning fireplaces in the Great Room and master suite, and floor-to-ceiling windows. 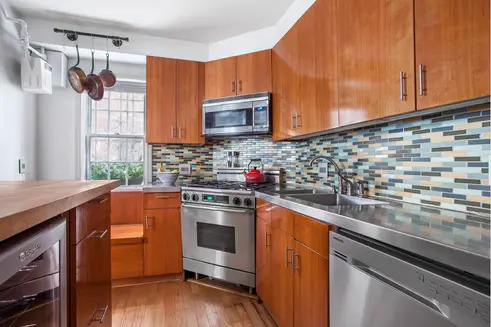 The modern eat-in kitchen comes outfitted with cherry wood finishes and top-of-the-line stainless steel appliances. 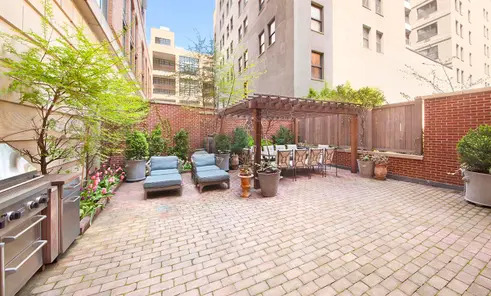 Residents enjoy the services of the Gramercy Park Hotel and a key to the park. See floor plan and full details here. 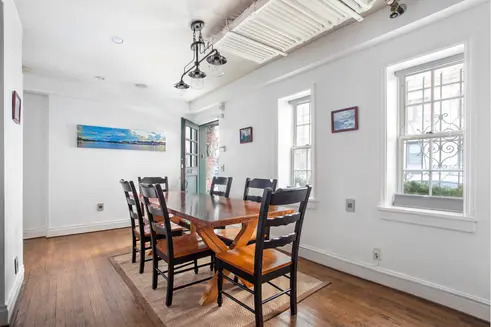 The first floor of this centrally located duplex boasts an open floor plan, built-in bar with undercounter wine fridge, renovated kitchen, and access to a private terrace. 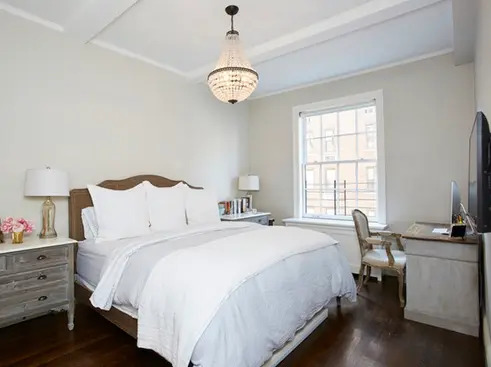 The second floor is home to an oversized master suite with home office, more than 15 feet of closet space, and newly renovated marble bath. 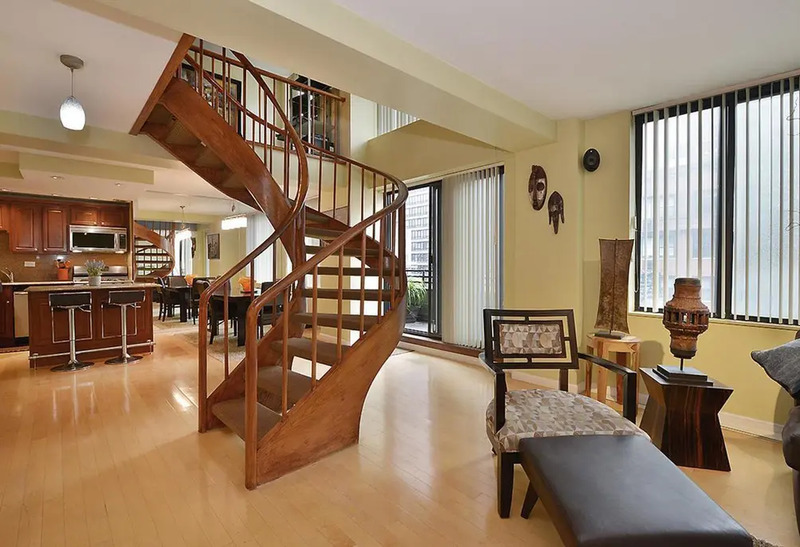 Throughout the apartment, features include amazing sunlight, generous closet space, and a wood spiral staircase that makes a gorgeous centerpiece. See floor plan and full details here. 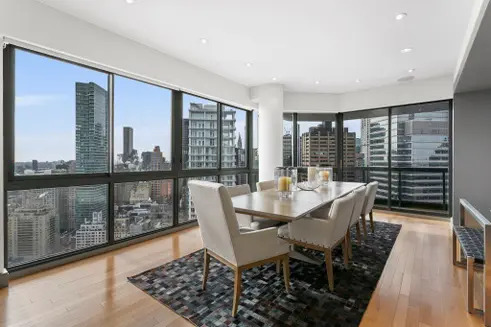 A private elevator landing leads to this full-floor home with a wall of windows, impressive entertaining space, and two private balconies. 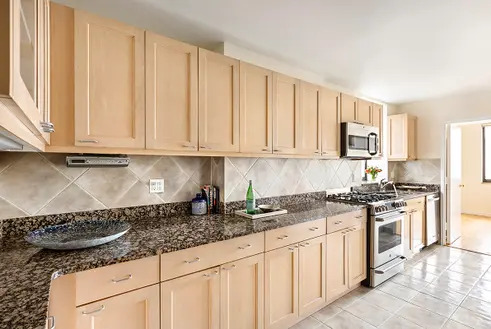 The windowed kitchen is outfitted with custom cabinetry, granite countertops, and high-end appliances. 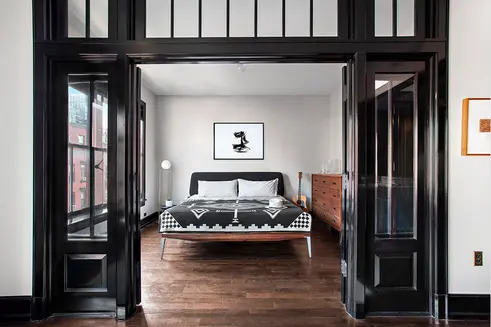 The massive master suite boasts southern exposures, greenhouse-style windows, amazing closet space, a sitting room large enough to serve as another bedroom, spa-like marble bath. See floor plan and full details here. 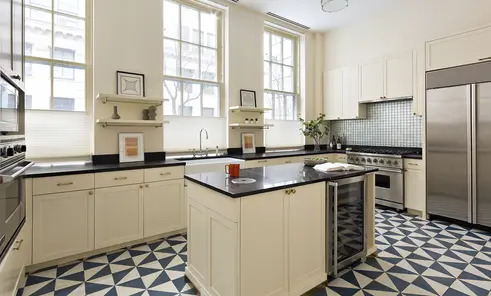 Grand prewar home across the street from Central Park started out as a sculptor's studio, but has been renovated into a dream home where no detail was overlooked. 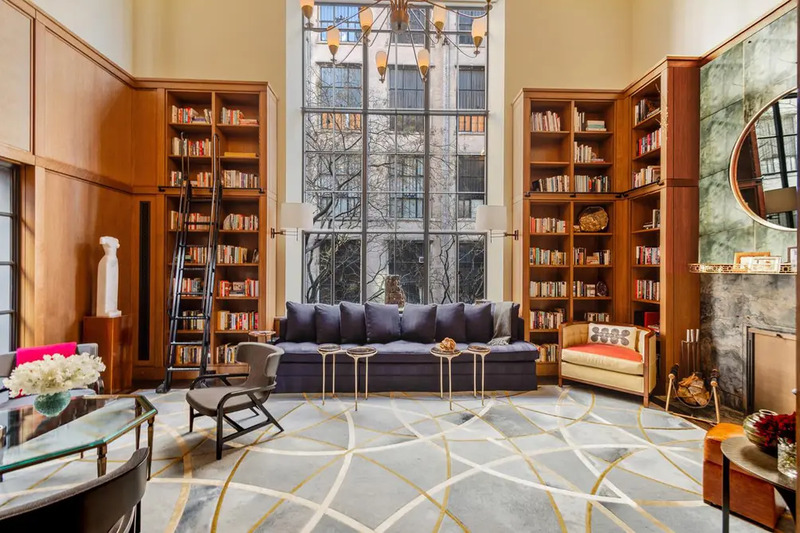 The grand living area boasts 19' ceiling, 13' custom bookcases, and marble fireplace wall. 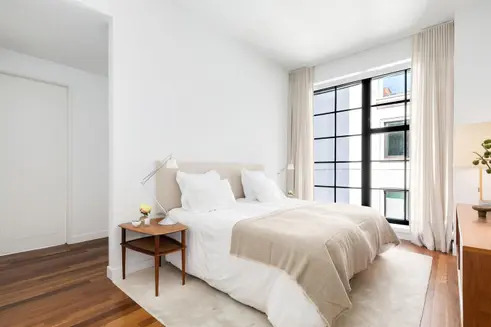 The bedrooms are upstairs for maximum privacy, the beautifully appointed master suite offers amazing closet space and a glass tile bath. See floor plan and full details here. 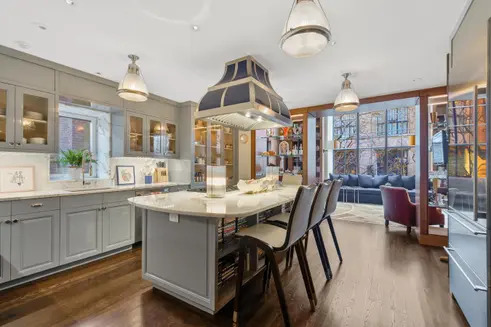 Prewar elegance meets modern innovation in this home on the edge of Soho. 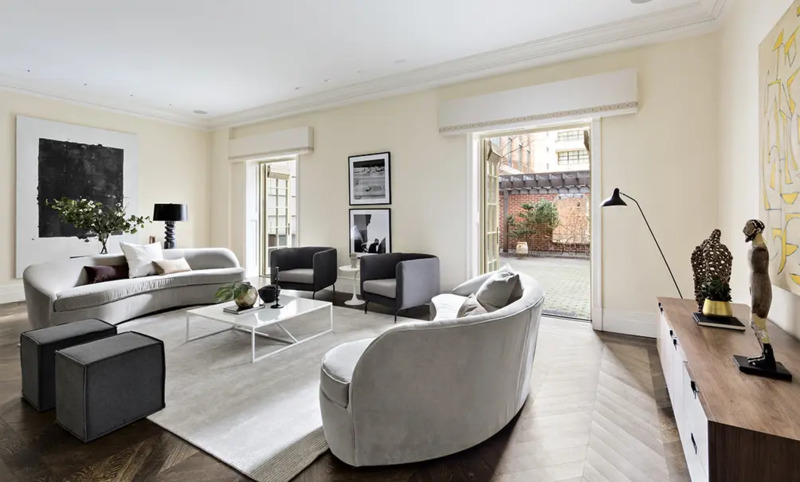 The grand living room boasts a wood-burning fireplace, walnut herringbone parquet floors, and a dramatic wall of 9' glass doors intersects it and the bedroom. 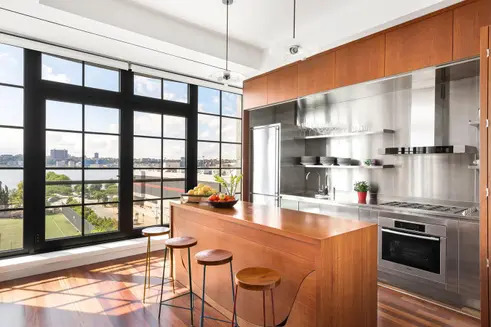 The state-of-the-art kitchen is outfitted with black cabinetry and Danish oiled walnut countertops. See floor plan and full details here. 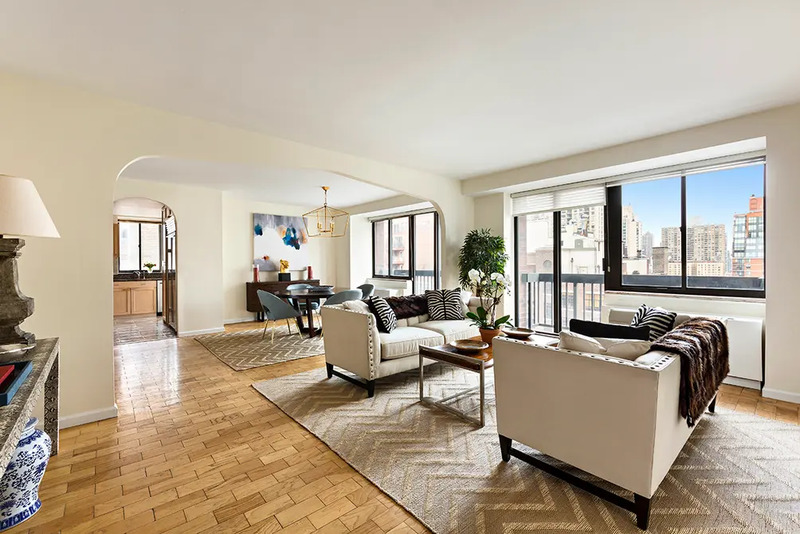 Upon entering this Upper East Side co-op, a grand gallery leads to a south-facing living room with 10' ceilings, herringbone floors, and gas fireplace. 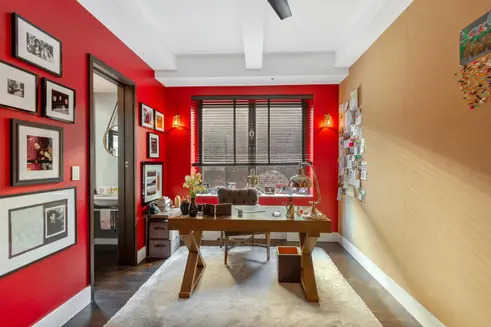 Prewar details are on display throughout, but smart home features include Nest smoke alarms and remotely operated thermostats. 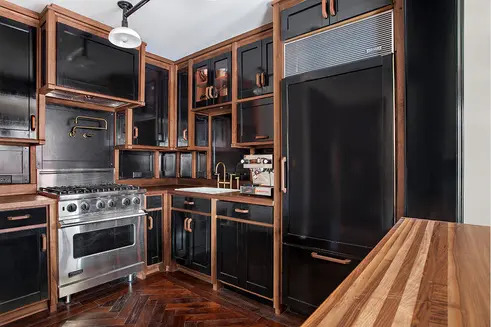 This elegant home in a J.E.R. 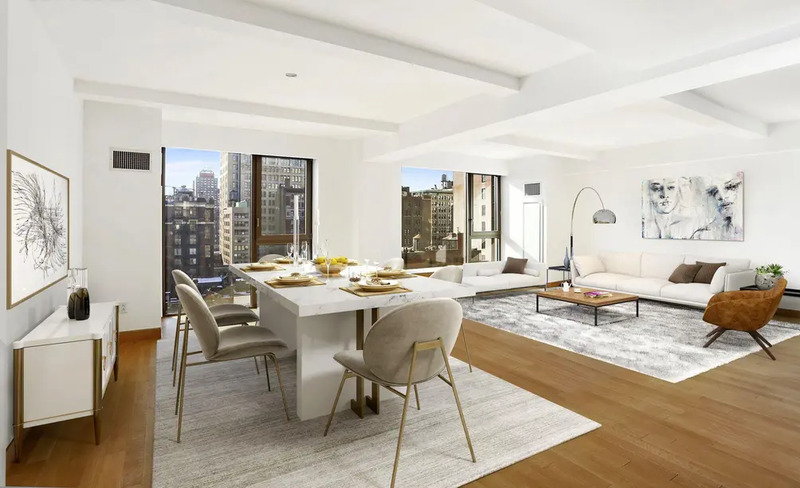 Carpenter-designed cooperative is in close proximity to Central Park, Museum Mile, Madison Avenue shopping, and top schools. See floor plan and full details here. 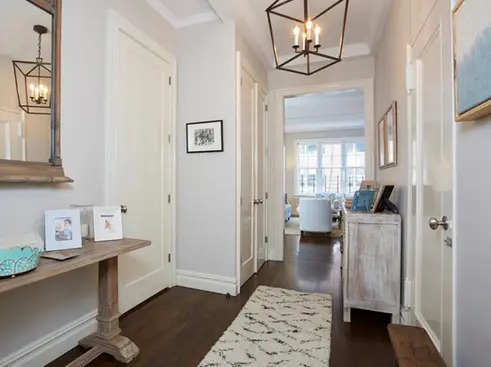 This townhouse-style home is reached by either a private street entrance or a doorway along a garden pathway. 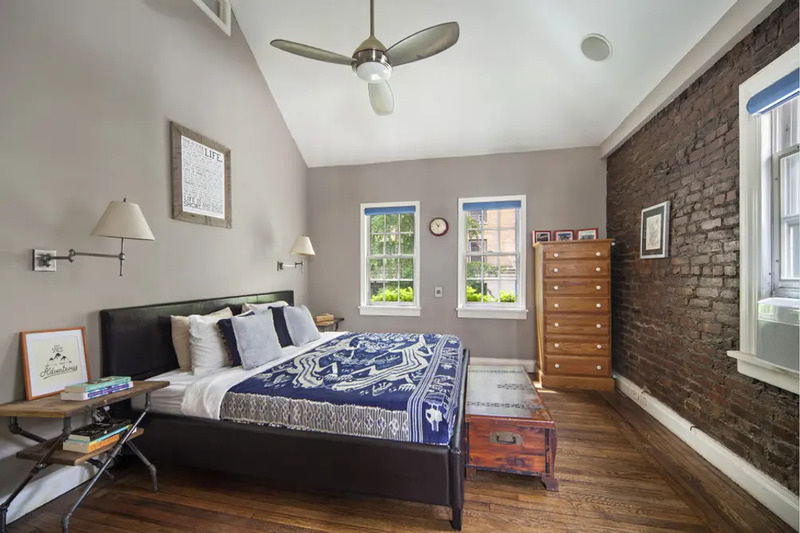 Features include double-hung windows, garden views, open plan kitchen, large master suite, and finished attic space. 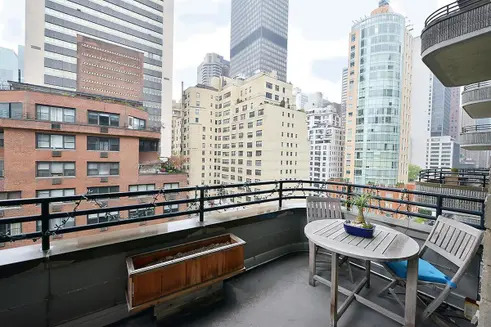 It is located in an Upper West Side enclave with a locked gate at either end, yet with excellent access to Central Park, Riverside Park, Trader Joe's, and transportation. See floor plan and full details here. 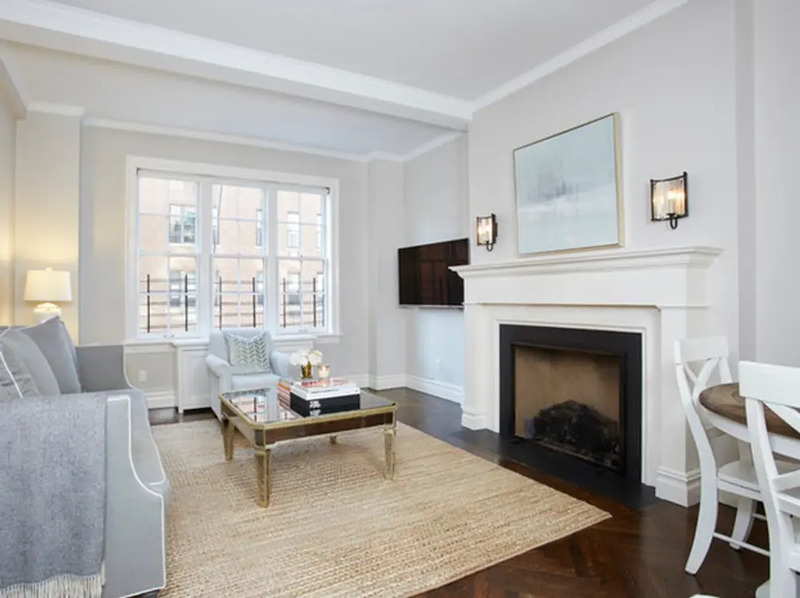 Spacious downtown home offers the privacy of a townhouse and the amenities of a full-service condominium. The Great Room has oversized windows, soaring ceilings, and French doors leading to a private patio for excellent entertaining indoors and out. 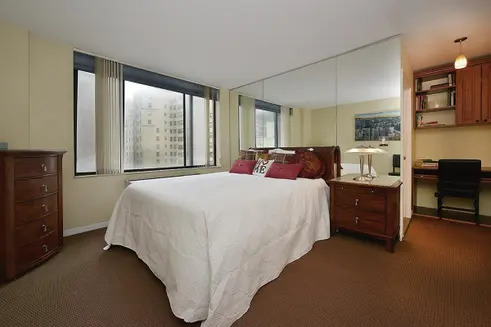 All bedrooms are on the upper levels, including a full-floor master suite with a large walk-in closet, dressing room with full bath, and marble master bath. See floor plan and full details here.